Apps are becoming more and more adaptive with its design, features and from the functionalities point of view. 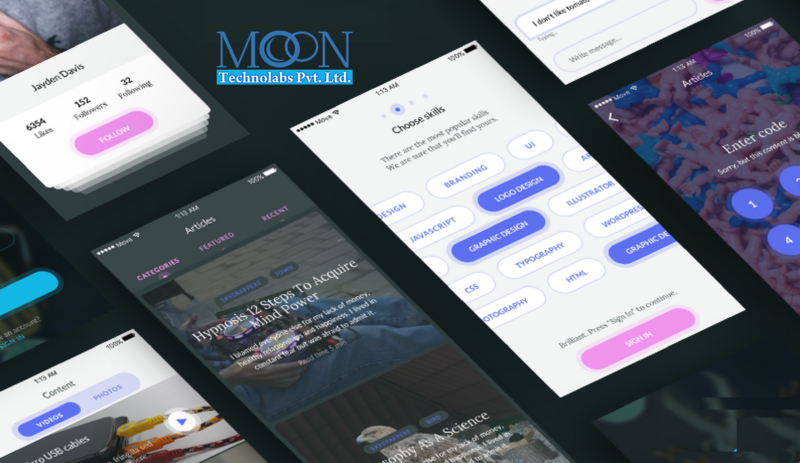 The UI (User Interface) plays a vital role and hence, designers are paying to keep attention to ‘details & elements’ that comprise to make the app have an amazing catchy appeal as well as appear like a work of art in itself. Mobile app development companies are bringing in new ideas to creatively express the app through its appearance and functionality. More time and effort is getting allocated to research and development in the design area of the app. The more of this kind of churning keeps on happening, is going to bring the best appeal of the app. Well, there are many app development companies providing same functions but the only thing that could capture a user’s attention is its design and how impressively it binds with the features. Let us have a quick overview of the world of design elements and what can be done to make it more lively. Most screens are usually filled with neatly blended elements for some responsive activity. Each screen has new something new regarding the app. However, there are times when a user reaches to a blank screen or rather a dead-end screen. These screens are becoming more frequently common in apps nowadays. The designer team is looking to find out a probable solution for the task at hand. Makeover – It should be designed with more attractive elements, with some background colors and merely selecting an interesting font. Errors screens also fall under the same category and the newer updations look good and show the work in progress. We all have experienced that while uploading or downloading a file, the screen becomes static. A user is not able to access any feature of the screen until the activity is completed. This experience seems to be more redundant if the file size is huge as it gives a user technologically unneeded feel. Makeover – Not only reducing the time taken to complete the uploading/downloading process but also adding a graphic element with ease the entire process of waiting. The same is also applicable for the websites whose pages don’t load immediately. Usually, placeholders are used which are temporarily placed icons until the actual elements are of the file are displayed such as image, videos, documents. Much of the work is still going on by app development companies to renew this aspect. Apps are in definite need of more interactive and responsive gestures or touch feature that promptly gives out information on the screen. Gestures such as pressing and holding an icon reveal its information and by either swiping or dragging an image file gives hidden information. Makeover – For instance, placing such gestures to engage a user in by providing information in an attractive way like a touch on the image gives details of an image as well as of its content. Designers from the app development companies are trying to provide more custom visual stimulation experience rather than the normal interactions. An interchange in the position where this information is revealed can make a huge difference like instead of placing it next to an image, it will be more effective when a user can access it by touching it and showing on the screen. Most of the apps nowadays provide their initial introduction on how to use this app or rather the tutorial about it via several visual and guided instructive animations. The development of this approach has been taken at utmost priority by designers in mobile app development companies. So basically a guided tour of the show and tell of the app with visual examples, showing a pointer to tap, etc. While this approach is liked by some users, others may feel empowered by the user interface. Makeover – The best way to overcome the challenge is by making a convenient and easy-to-use app with clear design and functionality. On the contrary, a complex app would take more time on user’s part to understand and get the hang of it resulting in probably an uninstall. To prevent this, it would be preferable if the app comes in with handy information about the time and other specific guidelines to get used to it. A need for enhanced & immersive user experience is long overdue for the display and sounds that are inbuilt in an app. This is attainable via 3D audio and virtual reality elements. To experience such elements users can wear 3D glasses & headphones to hear and see virtual reality elements in an app. Augmented reality apps make more use of the data collected in real-time from the surrounding. This particular medium of interaction is going to pave the way for amazing interaction between human and technology. AR apps can be beneficial to everyone starting from shops, entrepreneurs to small and large businesses in marketing, advertising, promotion and offering discounts. Since it is based on proximity, the ‘Augmented Reality’ works within a certain distance the information is transmitted to the nearby mobile phones and displayed within the app. For e.g, it might surprise you to receive a notification from a nearby coffee shop while you are passing through the city center about an instant offer or discount on the coffee.